One tradition that my husband and I have started is always cooking something special for Sunday breakfasts. 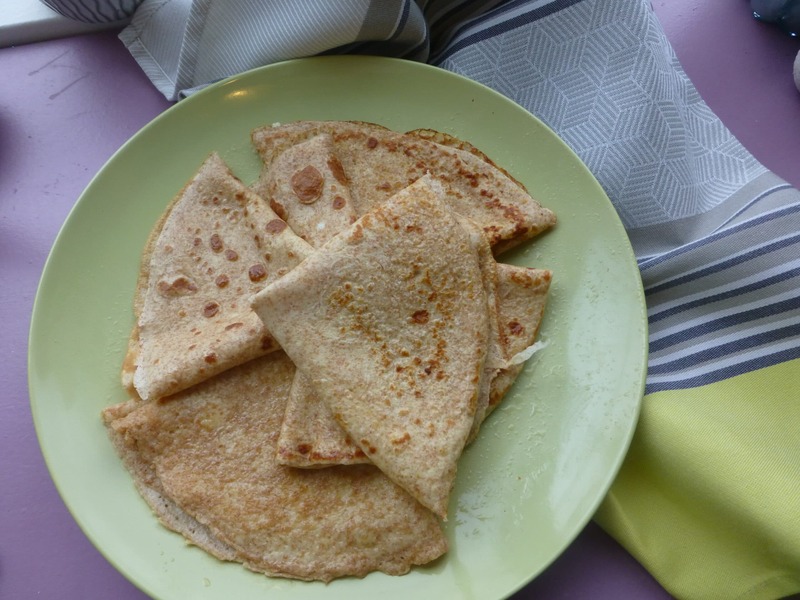 One of his most requested items is Pfannkuchen, being that he is German, but people may know this classic treat as Swedish pancakes or crepes. They are enjoyed in many different cultures but no matter what you call them they are especially delicious. I grew up with a fond memory for Pfannkuchen, however in my house we called them Swedish pancakes. My dad was always in charge of making them, as he had learned the recipe from his Swedish mother. My sisters and I loved eating them with fresh lemon juice and powdered sugar. Tart and sweet is exactly how I remember these pancakes. But you really can eat Pfannkuchen with any topping. Raspberry jam is my husband’s favorite and I love them with homemade syrup. This particular time I had some crabapple syrup I made last summer, so I enjoyed mine with that. Some other favorite toppings in our family are Nutella and maple syrup. One of my first visits to the 21 Acres Farm Market after I started volunteering was to look for ingredients to try in some of my favorite recipes. 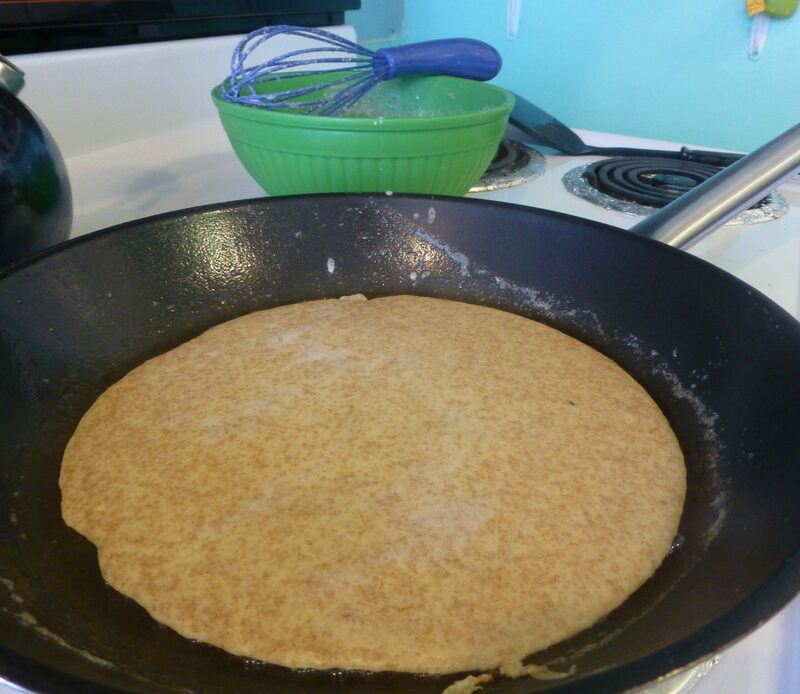 My goal for the Pfannkuchen was to incorporate the Market’s emmer flour — a whole grain flour as a substitute for regular unbleached white flour. I adjusted the measurements just slightly since the emmer flour didn’t seem to have the same binding agent as regular wheat flour does. My dad taught me a simple way to remember his swedish pancake recipe is 3-2-1. 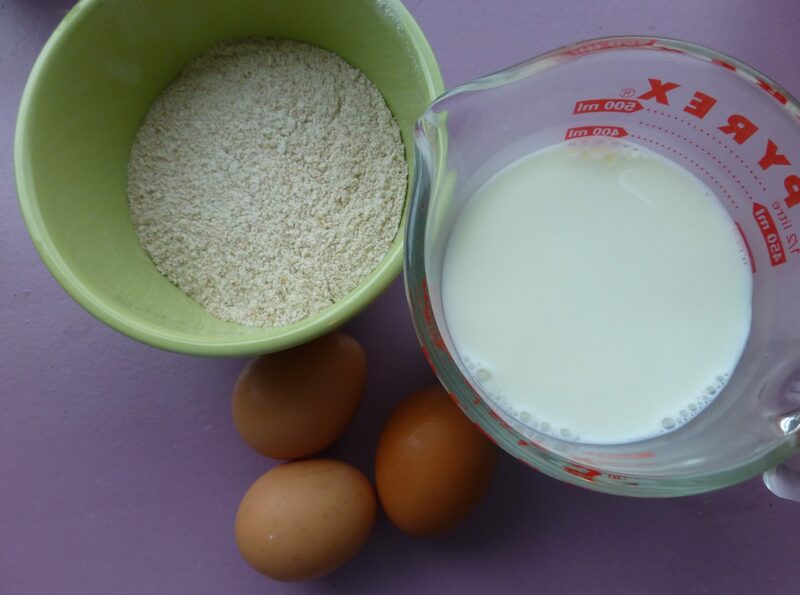 The normal recipe consist of 3 eggs, 2 cups of milk and 1 cup of flour. I adjusted the milk to from 2 cups to 1 1/2 and it worked perfect. With this cooking project it opened up my thinking. Using a whole grain substitute like emmer flour in place for traditional white and whole-wheat flour brings multiple benefits. Health is one of the benefits. Emmer flour has a high protein content more then traditional wheat and it also is high in dietary fiber. Not only do the health benefits make emmer flour a great choice but also the benefits that growing emmer has for the farmers. I found it intriguing that the hull of the emmer grain actually protects it from insects and diseases making it a wonderful grain to grow organically. Emmer also is beneficial to grow because it has higher yields in comparison to traditional wheat. One last fun fact about emmer flour is, the name “emmer” is a German word, meaning hulled grain, making it even more of a perfect fit for my German pancake recipe and my German husband. Here are a couple other recipes ideas for emmer flour. To learn more about the emmer flour sold at the 21 acres Market check out the Lentz Farms website. Over all, the recipe substitution was a huge success. 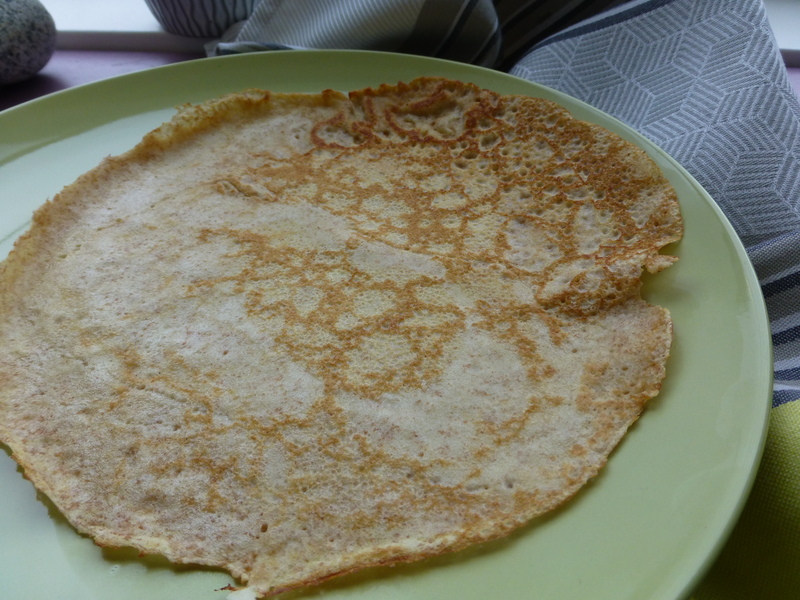 Both my husband and I loved the pancakes with the emmer flour. They had a lovely hint of nuttiness to them. The texture was perfect. They were soft and fluffy but with the thinness the traditional recipe needs. The flavor and taste would compare to using hearty whole-wheat flour. I would substitute emmer flour again, perhaps next time I with a focaccia! Please comment here let me know if you try the recipe and tell me how the pancakes turned out. 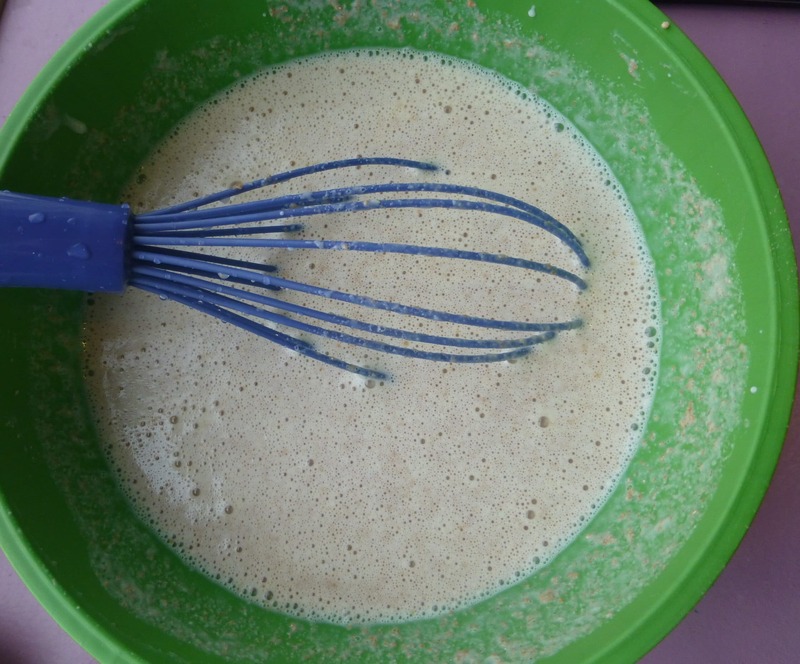 Mix the emmer flour and milk together with a whisk until smooth and there are no lumps of flour. Add in the eggs one at a time until the mixture is fully incorporated. Heat the butter one tablespoon or so at medium heat in an average sized frying pan. Once heated well, pour in about 1/3 cup of pancake batter. Swirl around quickly so the batter reaches the edges. Fry about 2-3 minutes and flip over carefully. You want both sides to be slightly browned. Remove and continue with the remaining batter. Add a fresh tablespoon of butter to the pan as needed for frying. Top with your favorite pancake toppings and enjoy!